D2Football.com announced its postseason honors Friday morning. The award winners included the Offensive and Defensive Players of the Year, Coach of the Year and their First Team, Second Team and Honorable Mention All-Americans. 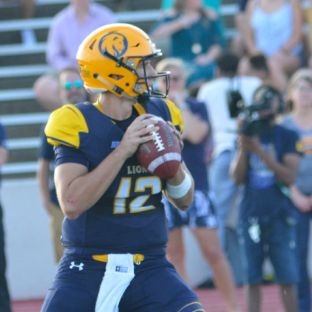 Texas A&M-Commerce’s star quarterback Luis Perez continues to pile up the postseason accolades. He adds D2Football.com’s Offensive Player of the Year to his list. Marcus Martin, Slippery Rock’s stud defensive end who became the NCAA’s all-time sack leader this past season, earned Defensive Player of the Year honors. Pete Shinnick, who led the West Florida Argonauts to the championship game in just its second season, took home Coach of the Year honors.